What’s with the bandanna? It’s a question anyone coming to David Foster Wallace has to grapple with. There is something rather faux and self-conscious about it: Laura Miller even opened her 1996 Salon profile of Wallace by saying that the bandanna contradicted his “low-key, bookish” appearance in real life. It is hard not to agree. It looks like a cartoonish put-on at best, a bad Gen-X costume at worst, but regardless, and whether fans of his like it or not, it is a look that has become synonymous with David Foster Wallace. Just look at the cover for Bryan Garner’s grammar chat with Wallace Quack This Way and you’ll see how the bandanna stands poised to tip Wallace’s image from the world of iconography into the world of caricature. So what’s with the bandanna? 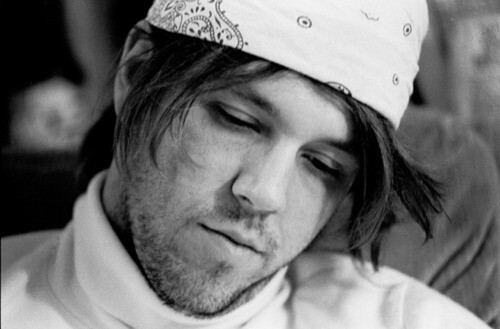 David Foster Wallace was a famously heavy sweater. And he was (literally) self-conscious about it. There’s even a character in his unfinished novel The Pale King whose fear of sweating publicly is so strong it actually causes him to sweat. According to D.T. Max’s biography Every Love Story is a Ghost Story, Wallace allegedly carried a tennis racket and gym bag with him to “explain” his sweaty appearance before he discovered his bandanna. He first donned the bandanna during his time in Tucson to keep his sweat from dripping onto the paper he was writing on. In his conversations with Rolling Stone reporter David Lipsky, Wallace referred to it as “a security blanket,” something he initially wore when feeling nervous, or “whenever I feel like I have to be prepared, or keep myself together” — which is to say, constantly. But that was Wallace as a private citizen. The summer of 1993 brought us the Review of Contemporary Fiction’s Younger Writers Issue, which featured the first published photo of a bandanna-ed Wallace. Although few people saw the cover of this literary journal, thousands have seen this author photo because Little, Brown and Company used it three years later as Wallace’s author photo for his magnum opus Infinite Jest. Rephrasing this ought to show how odd this is: rather than take a current author photo for a book it was planning to hype the hell out of, a major US publisher reprinted a three-year-old author photo from a tri-quarterly journal. The way Wallace describes it, this is a horrible image trap to be caught in; however, it is important to remember that the bandanna was always intentional. The problem is that he is wearing one of the back cover of a book, it becomes hard to view those intentions as anything other than a Gen-X-targeted marketing gimmick. Nevertheless, Wallace tried to escape the bandanna. He stopped wearing them, at least publicly, in the late 90s, but the truth is that he could never drop it entirely. Even when he didn’t wear it, people still associated it with him. The bandanna became the very thing he feared: his trademark. No one seems capable of forgetting it or overlooking it. His final author photo, the one published posthumously with The Pale King, is a throwback to 90s Wallace: glasses, scruffy beard, and, once again and for all time, the bandanna. So what’s with the bandanna? Yes, it is gimmicky, and it totally worked. Things like the recent Newsweek cover may be off-putting, but then again would Newsweek have even put him on the cover of their magazine six years after his death if it were not for the bandanna? 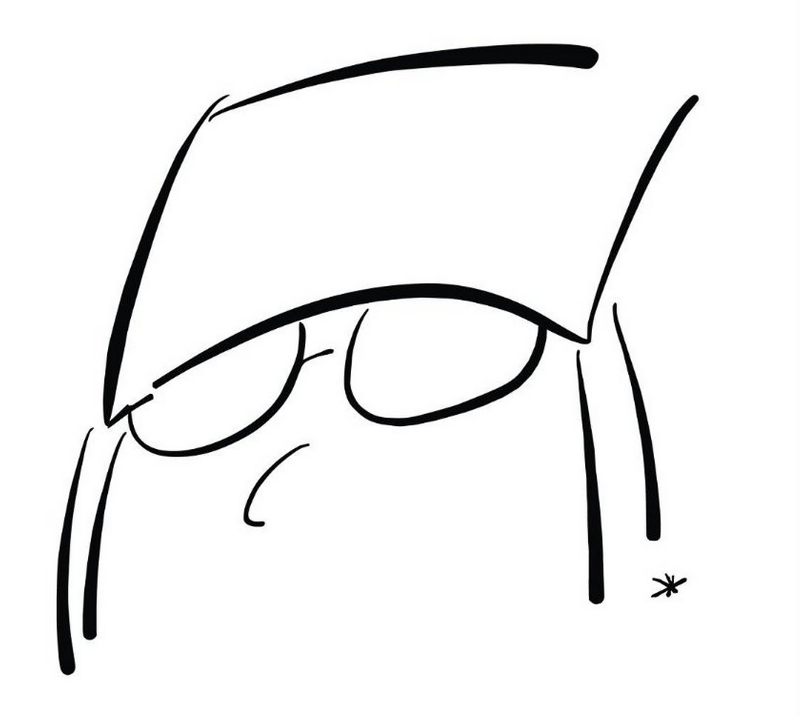 By being so anti-iconic, the bandanna made Wallace into an icon. And maybe this is not as gross as it seems. 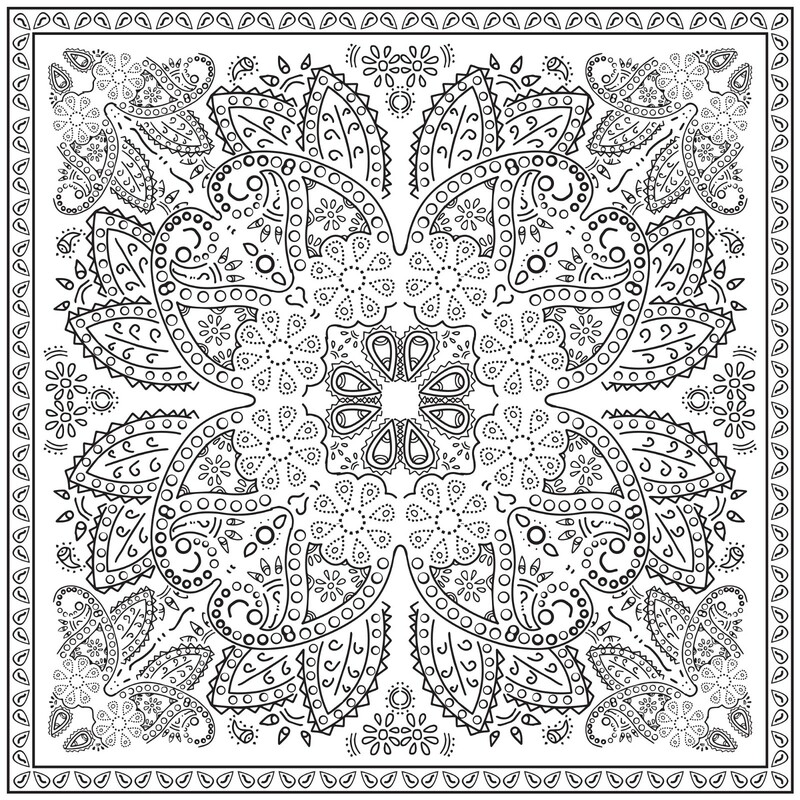 As much as we (and Wallace) may want to dismiss its importance to his work, it is a key entry-point to understanding Wallace as a writer and public figure because the bandanna illustrates, in miniature, one of the biggest motifs of Wallace’s writing, one that he felt captures what it means to be alive in America today: the double-bind. For Wallace, every interaction, every choice in modern American life comes wrapped up with its opposite. The desire to be liked for who we are leads us to act in ways that we think will make people like us; the pain of being alone drives us to choose hobbies and addictions that will make us alone more. Or, hypothetically speaking, the choice to avoid attention by wearing a bandanna comes to be perceived as an attention-getting gimmick, throwing gasoline on the very fire it was trying to put out. What does a person do in such situations that doesn’t take him or her deeper into the contradictions he or she wants to escape? That’s a double-bind, Wallace style. No wonder he said he felt like he needed to wrap a rag around his head to keep it from exploding. So what’s with the bandanna? Perhaps Wallace explains it best when he tells Lipsky that he views it as “a foible… the recognition of a weakness.” If there’s anything that passionately draws readers to Wallace, it’s not the grungy Gen-X iconography of the bandanna, it’s what the bandanna represents: a deeply empathetic recognition of the foibles and weaknesses that we all share in being alive in these United States of Double-Binds.